Contemporary dance can be difficult to understand, or even define, because it’s rooted in experimentation. It’s versatile, conceptual, and often unpredictable, but what’s certain is it requires incredible dancing skill. Whether you’re mesmerized by these performances or feel something between uninspired and confused, the value of contemporary dance lies in its creative freedom; boundaries are pushed and blurred to create live works of art on stage. “Contemporary dance is a different approach to performance, to ourselves, and to the logic of how we look at things. It breaks the hierarchy of traditional art,” explains Omar Rajeh, who in 2002 founded Maqamat Dance Theatre with the aim of developing the contemporary dance scene in Lebanon. Maqamat’s flagship event is the annual Beirut International Platform of Dance (BIPOD), which for 13 years has been attracting top international talent in contemporary dance to the country. There were, indeed, lots of new things to see this year. The rich program included not only performances, but also, presentations, workshops and exhibitions. Dance troupes from Germany, Switzerland, Spain, Sweden, the Netherlands and the UK performed, and there was a special German focus with companies and choreographers that had been influenced by and developed through the German scene, including Helena Waldmann, Lutz Forster, Dance On Ensemble and Franko Schmidt. BIPOD is also a platform for local and regional talent to choreograph and dance on the same stage as internationally renowned groups. A highlight this year included celebrated Lebanese visual artist Rabih Mroue’s “Water Between Three Hands” – his first directorial work with dancers. The festival also included the sixth edition of Moultaqa Leymoun, a dance platform within BIPOD that aims to showcase and promote the work of Arab and Iranian talent, and understand dance within the regional cultural and social environment. It included full length works, as well as presentations by choreographers and dancers from Lebanon, Tunisia, Egypt, Jordan, Palestine, Syria, and Iran. 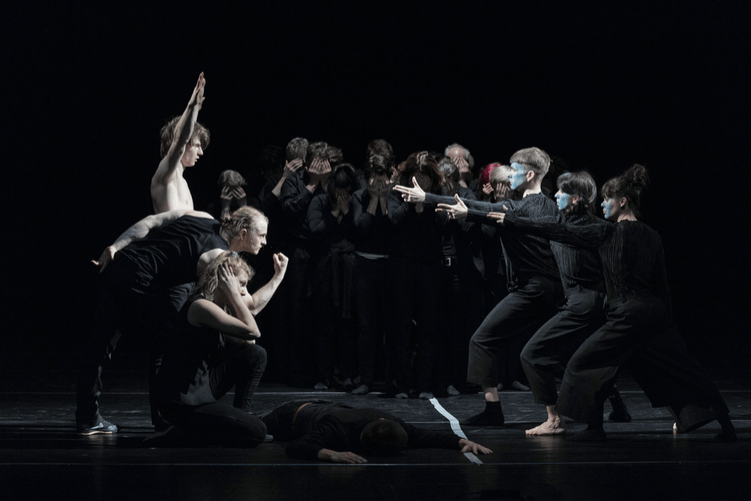 The organizers admit audience members may not have liked every performance, but the artistic program was diversified with various permutations of contemporary dance for all kinds of audiences to enjoy, and filled with works that were relevant and high-quality. 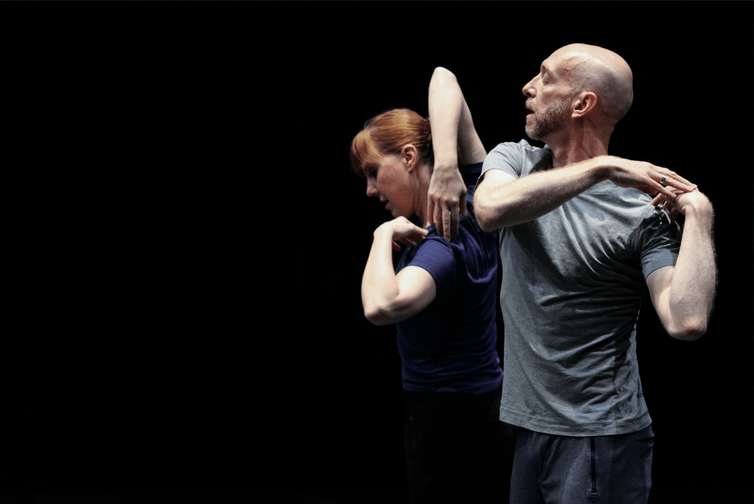 A large number of the performances were new, with some choreographers, like Jan Martens, even choosing BIPOD to debut their works for the first time outside their home countries. “We can’t separate ourselves from the world. This is extremely important. We want to be part of the progress that’s happening globally, and to see and interact with new thoughts,” says Rajeh. Some of the performances were highly interactive, such as Helena Waldmann’s “Good Passports Bad Passports,” which required 22 volunteers to form a human wall onstage, and Sina Saberi’s “Damnoosh,” which featured a tea ritual for the whole audience. The closing of the festival on April 29 was marked with the reveal of a mesmerizing photo-series by renowned Lebanese photographer Gilbert Hage, who had been photographing all the dancers against a black backdrop throughout the festival. The beautiful project will be published as a book. This year, BIPOD also honored Abdel-Halim Caracalla, founder of Caracalla Dance Company, with a life-time achievement award for his key contributions to Lebanon’s dance scene.